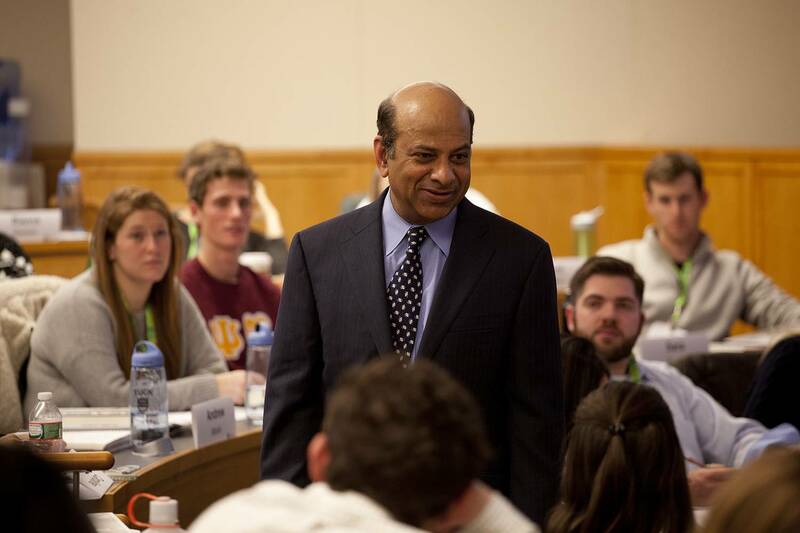 An innovation specialist, Tuck professor Vijay Govindarajan took a close look at rising health-care costs in the U.S. 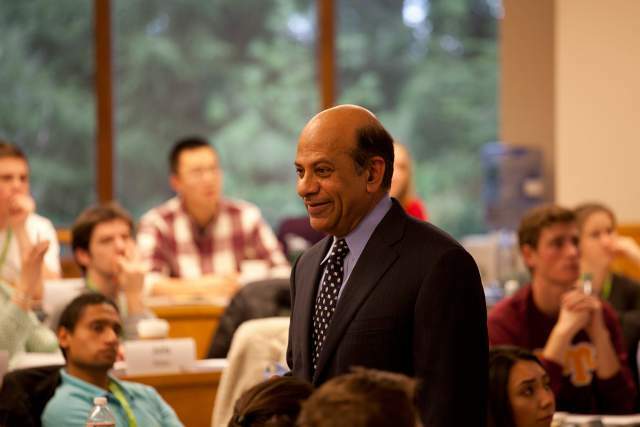 While researching his 2012 book, Reverse Innovation: Create Far From Home, Win Everywhere, Vijay Govindarajan, the Coxe Distinguished Professor of Management at Tuck, learned about a hospital system in India that seemed to work miracles. Narayana Health was performing successful open-heart surgeries for just $3,000—a cost about 50 times less than in the United States. How was this possible? As a leading management thinker, Govindarajan was interested in the management innovations that Narayana and others were using, and began wondering if those principles could be brought to the United States. Health care costs in the U.S. are out of control and Washington, DC is focused on the wrong problem: who is going to pay for it. Why is the health care industry a candidate for reverse innovation? The Reverse Innovation idea is to borrow ideas from poor countries and I realized that if you want to fix our health care, the solution is not going to come from the U.S., because the whole industry is caught up in a spiral. India may be the unlikeliest place, but because they are so poor, the only way they can provide health care there is through management innovation, and some hospitals have figured that out. Why did you focus on India specifically? India is not the only country with ultra-low cost and world-class, quality health care. We started in India and found six hospitals doing something different. Our interest was to see if there was a management innovation there. And then we said, if yes, can it travel to the U.S.? Even under the current regulatory constraints, we found four hospitals in the U.S., which actually through inspiration from India, are practicing these things. The book’s call for action is not to focus on these six hospitals, because maybe there are others in Africa to study too. It just opens up the field. What are some of the management innovations you found in Indian hospitals? The main cardiac hospital, the hub, is in Bangalore. The spokes consist of mobile health clinics and basic care centers in the villages and towns. The spokes funnel traffic to the hub. Only the hub has the expensive equipment and high-cost surgeons. Narayana leverages tele-health to the hilt, and deploys technology to improve patient monitoring, gather and analyze data, share best practices, and improve outcomes. In an open-heart surgery, the cardiac surgeon is only doing the most delicate task: grafting the vein onto the heart for the bypass. Everything else is done by the nurses. Every cost is analyzed and reduced. They re-use a $160 heart clamp up to 80 times, with no adverse effect on outcomes. In this country, the same clamp is thrown away after one use. Where are these principles being used in the U.S.? One example is from Mississippi, the poorest state in the U.S. The University of Mississippi Medical Center instituted a hub-and-spoke model because the hospital was getting overrun with emergency visits from all over the state. They put well-trained nurses in the community care centers and connected them via tele-medicine to the main hospital. Now most people go to their community medical facility and, if necessary, they video-conference with an expert at the medical center in Jackson. There are other examples in the book. That’s what gave us confidence that these weren’t Utopian concepts. This can actually work. Health care is a business like any other, and it can follow good business principles. Like other industries it can benefit from bottom-up innovation by entrepreneurs and intrapreneurs, rather than rely solely on top-down reforms coming out of Washington, DC. That’s what this book is about. 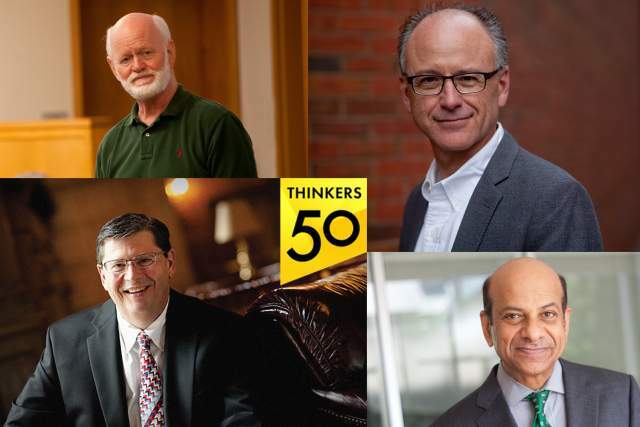 The 2017 global ranking of business thinkers named Richard D’Aveni, Sydney Finkelstein, Vijay Govindarajan, and Marshall Goldsmith to its prestigious list.